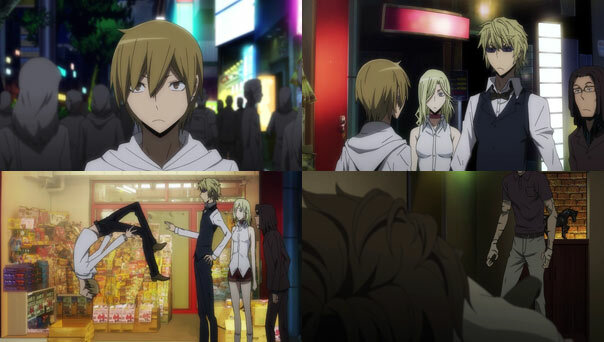 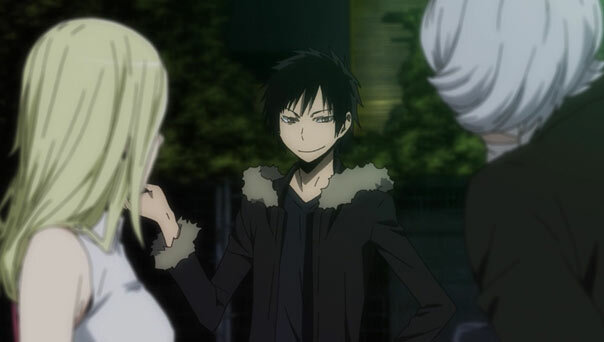 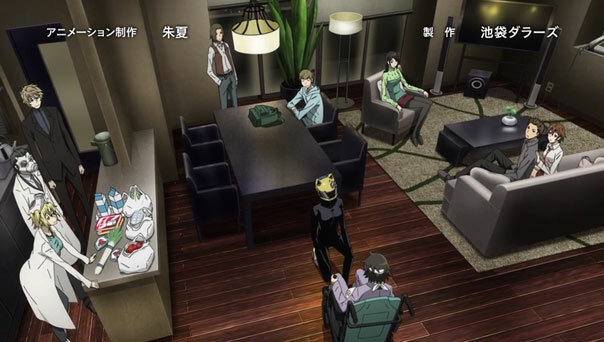 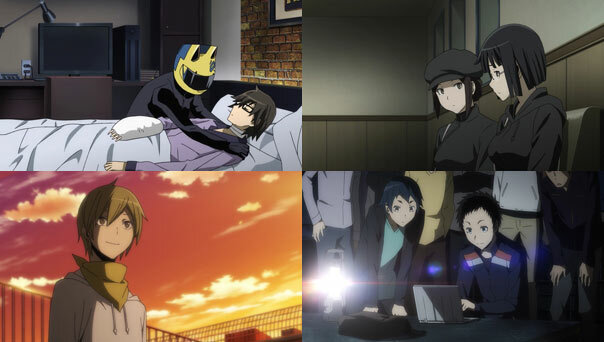 After a week off, a new Durarara!! 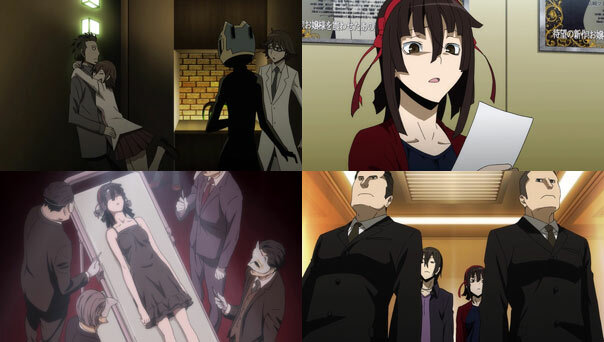 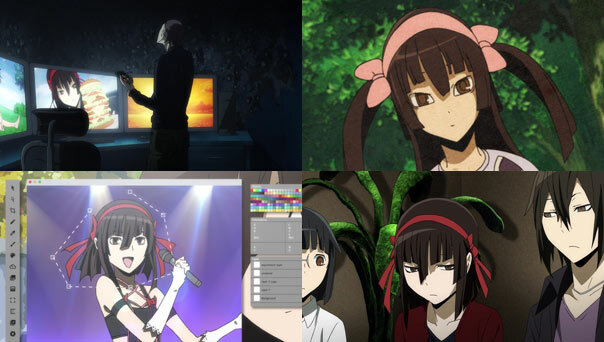 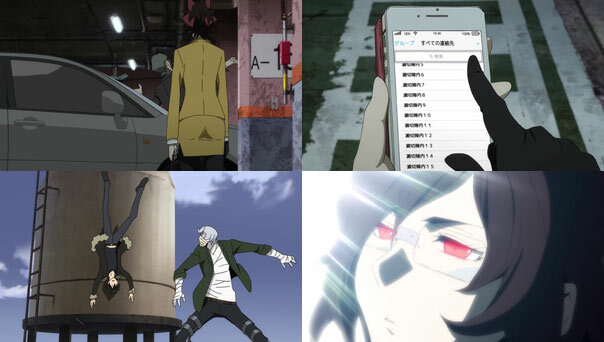 arc begins with a scattered (even for this show) and at times yawn-worthy table-setting outing in which Erika lures Anri into trying out cosplaying, and the remaining members of Kodata’s crew are having a meal at Russia Sushi when they’re confronted by Masaomi, who wants them to leave the Dollars and join his Yellow Scarves. 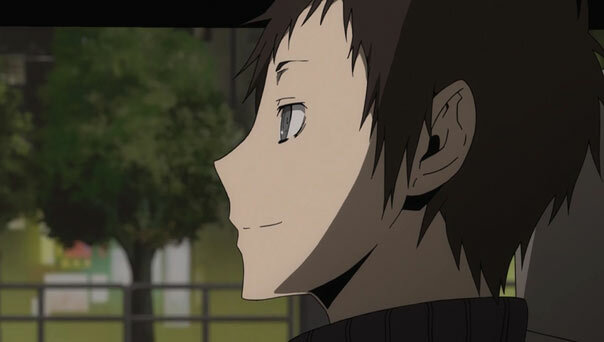 Masaomi wants to “destroy” the Dollars, who have been corrupted by Blue Square in order to “save someone” who we know to be Mikado. 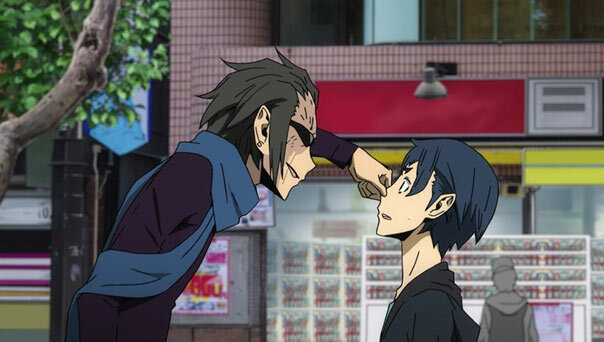 Meanwhile Aoba’s puppet-master Aoba is confronted by his aniki Izumii Ran, fresh from working with Izaya and hungry for revenge against Kodata & Co. A lot of dirty laundry is aired, including Aoba setting fire to Ran’s room when they were younger, and Ran agreeing to take over Blue Square from Aoba once it got too big and unruly. 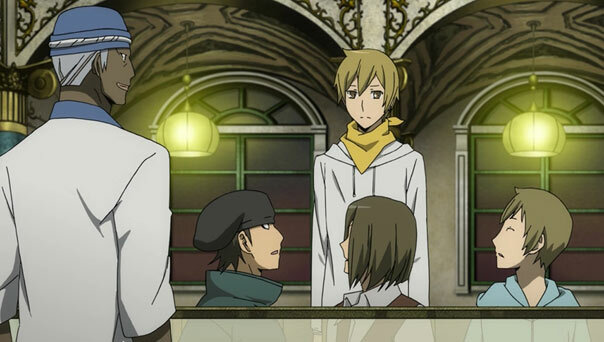 As for Kyohei, he says he’ll consider Masaomi’s offer and discuss it with his crew (of which Erika is absent), later pondering the recent change in Mikado’s personality and his involvement in the internal purging of the Dollars. 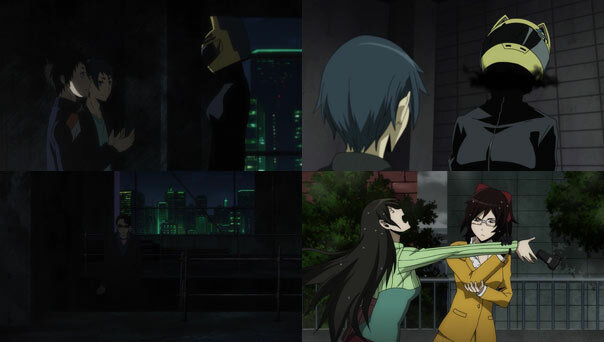 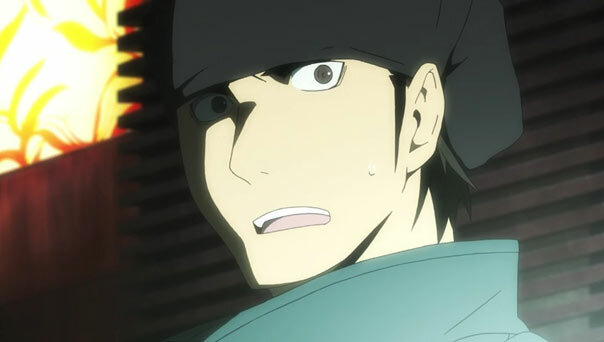 Then he’s suddenly hit by a car; most likely Izumii Ran’s opening salvo in his quest for revenge. 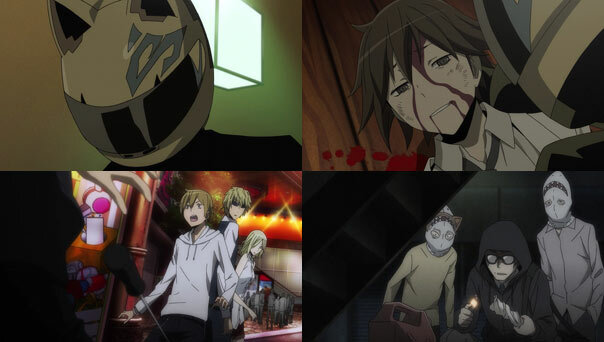 Just like that, a major player in Ikebukuro is taken out, leaving all who relied on his strength and honor a lot more vulnerable, not to mention torpedoing Masaomi’s plans. 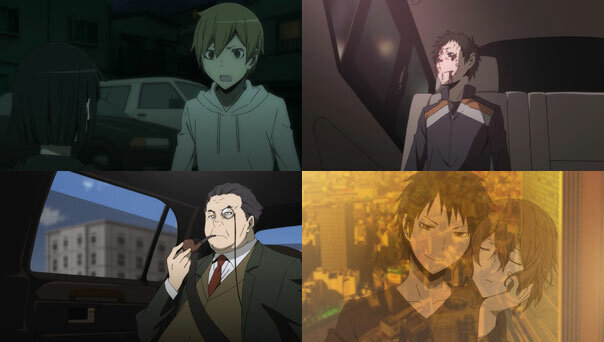 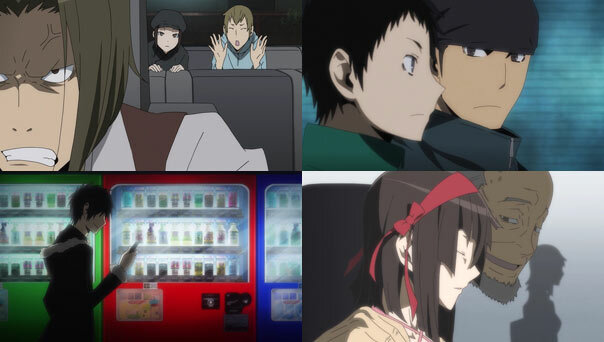 As Aoba rides in a van with Mikado and other Blue Square sharks, we see Mikado continue to portray the proverbial kingpin, saying he himself probably shouldn’t go visit Kyohei, but suggesting Aoba do so, but not to bring the wrong kind of flowers. 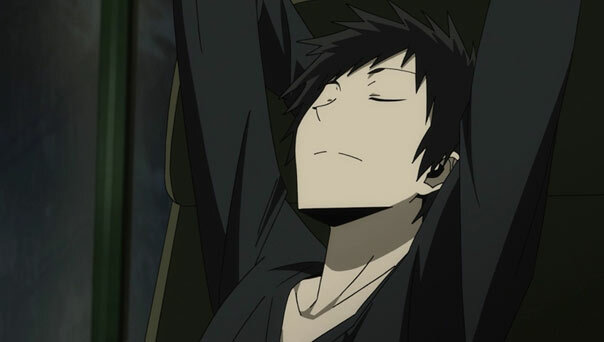 He even seems a little morbidly relieved that Kyohei is off the board for the forseeable future, even if he wasn’t aware Masaomi was trying to recruit him. 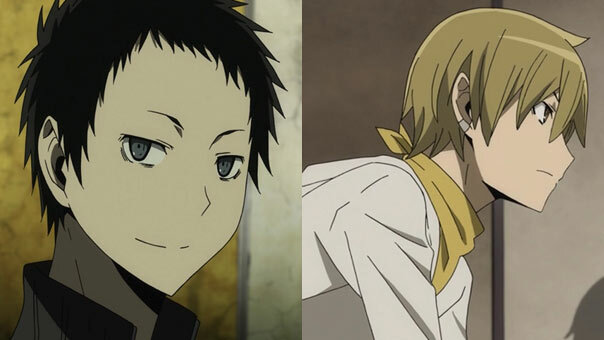 If nothing else, Mikado is happy to keep working in his current role with his current support group, diving down a hole that may not have a pleasant bottom. 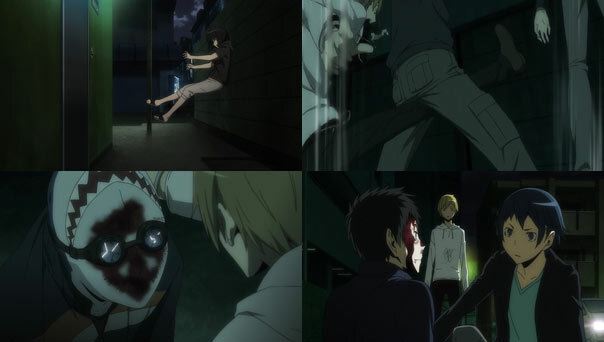 Masaomi wants to save his gentle-hearted friend, but that Mikado may no longer be around, and may not be coming back.